You know what’s really sad? Seeing so many women struggle to grow their business because they keep making the same mistakes over and over. That’s why I want to talk about some of the mistakes women entrepreneurs make that’s holding them back. If you’re struggling to grow your business and nothing seems to be working, then it’s possible you are making one of these mistakes. You knew I was going to talk about the importance of a business plan right? There are no two ways about it. If you want to start and grow a successful business, then you need a business plan. Not having a business plan is one of the most common mistake female entrepreneurs make. 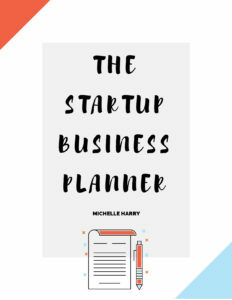 Many women are scared of writing a business plan because they don’t know what to include in the plan, or they think it’s time-consuming. The truth is, your business plan doesn’t need to be a long or complex document. Just think of it as a road map for your business. A business plan gives clarity to your thoughts and allows you to see what you need to do first, second etc. A business plan helps you to create a plan of action so you can reach your goals. It allows you to focus on the important tasks so you don’t waste time and money on activities that won’t help you reach your goals. As a small business owner, you don’t need a big formal business plan to run your business. What’s important is that you set goals, create an action plan, and have a way of tracking your results. A description of your business. What you do, your target audience, the problem/s you solve, and your purpose (why you do what you do). Your Marketing Strategy. How to attract your ideal customers, the steps you will take to get on their radar etc. Your Sales Strategy. How you’ll nurture your potential customers once you have gained their attention. The steps you will take to turn them into paying customers. Market analysis. Researching your competition. Making a note of what they do well or poorly so you can figure out a way to stand out from the competition. Financial plan. How you will fund your business, a list of your business expenses, how your business will make money, how much money you think your business will make monthly, quarterly, or yearly. Organization and management. The systems and processes you need to run your business. As you can see, a business plan doesn’t need to be scary or overwhelming.You can make it as simple or as detailed as you’d like it to be. Successful entrepreneurs always seek knowledge so they can grow their business and be one step ahead of their competition. Too many women are starting businesses without learning or acquiring the basic skills and knowledge they need to run their business. These women are setting themselves up to fail. The idea of starting a business and becoming your own boss is very exciting and attractive to a lot of women. The problem is so many of them neglect one important fact in their excitement. The fact is,if you don’t know how to run your business or how to make a profit, soon you will find out that you have an expensive hobby and not a business. 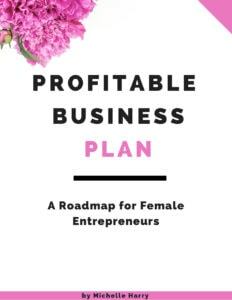 In The Female Entrepreneur Toolkit,(a free guide), a section of the eBook is on how to prepare for entrepreneurship. If you’re struggling to grow your business, you may want to take a look at it. Also check out this post 13 Skills You Need to Become a Successful Female Entrepreneur if you need some help figuring out the skills you need to grow a successful business. Don’t ever use a lack of skill or knowledge as an excuse for not achieving your goals. You can figure out everything if you put your mind to it. I see a lot of female entrepreneurs overspending, spending money on stuff they don’t need, or spending a lot of money before making a profit in their business. The sad part is some of these women don’t even know they are overspending because they don’t have a budget for their business or track their spending and expenses. It’s easy to get carried away when you first start your business. That’s why creating a financial plan is so important. Do you know where your money goes each month? Do you use all the tools/subscriptions/software that you keep paying for every month? Are you making purchases based on other people’s recommendations and not because you actually need those things? Overspending is one of those mistakes female entrepreneurs make which can stop them from making money in their business. If you suspect you might be overspending in your business, it’s time to take a look at your finances. Do you know one of the easiest ways to increase your business profits is to cut or get rid of some of your expenses? Raise your hand if some of your favorite things to do for your business include selling and marketing. Many of us don’t like marketing or selling. We find it difficult to ask for the order or to close the sale because we don’t want to come across as sleazy. Am I right? Here’s the thing. Marketing or selling doesn’t have to feel sleazy if you offer something that’s truly helpful to your customers or clients. If you are spending a large chunk of your day or week on non-income generating activities, then you are going to struggle to build a profitable business. As a business owner, your first priority is to generate income. Which means money-making activities are the number one things you should spend time on. Answering emails, responding to comments on your blog or social media accounts are not money-making activities. Don’t waste your time on tasks that won’t help you increase your bottom line. Just to be clear. I am not saying those tasks are unimportant, all I am saying is they shouldn’t take up the bulk of your time. There are so many things you can do to generate income for your business. These are just some ideas to get you started. To recap. Female entrepreneurs continue to make some mistakes that prevent them from growing their business.If you’re putting a lot of time and effort into your business with little or no success, then you may be making one of these four mistakes. Now is a good time to take a look at how you have been running your business so you can make the necessary changes. Are you making any of these mistakes? What changes are you planning to make in your business? Let me know in the comments. Enjoyed this post? Don’t forget to pin it or share it on your favorite social media platform!